We could be mad that it took them this long to notice. Or we could celebrate the fact that we’re finally getting some attention to the issue. In addition, though, we have to recognize another big implication of this story. We’re glad to get some front-page attention to the difficulties of teaching, of course, but it’s difficult not to say…well, duh. Of course teachers have a tough row to hoe. After we digest that non-bombshell, though, there’s more in this story that we should notice. As historian Jack Schneider wrote recently for WaPo, Americans tend to have a unique love/hate relationship with public schooling. We hear over and over again that public schools are failing, yet most of us cherish our local public schools. And statistics tell us that—as a whole—America’s public schools are doing as well academically as they ever have. Behind the fake-exposé headlines of the USA Today series, we can see a glimmer of truth that helps explain the weird relationship of Americans to their public schools. Reporters fanned out across the country to tag along with teachers. In one case, that meant braving the wilds of Montana, where Traci Manseau teaches seventeen kids of all ages, all with the same last name, all in the same one-room schoolhouse. The students are all Hutterites, and they leave school at age sixteen to work on the communal farm. At another school, 1,584 miles away (I looked it up) in Detroit, students wear a different sort of uniform. Instead of bonnets and cowboy shirts, the mostly African-American students wear uniform polo shirts and khakis. Their teacher, Felecia Branch, loves to hear them relate to fiction. And she hates it when they fight. Down in Phoenix, meanwhile, teacher Rebecca Garelli welcomes 21 students in her English-Language-Learners class (ELL). Two of them come from Rwanda. Many of them speak only Spanish. Her job is to teach them—according to Arizona law—in English. And get them all to learn science. Are there similarities? Sure. All teachers feel stressed. And all good teachers care a lot about all their students. Whatever their backgrounds and locations, teachers want the best for their students and they can get frustrated when bad rules or bad situations make that unlikely. But the vast differences between just these three examples show how inappropriate it is to talk about an American public school “system.” What it means to go to school in the United States can mean vastly different things. Of course, SAGLRROILYBYGTH did not need to open the pages of USA Today to find that out. All of us can see the huge disparities in public education if we just take a tour around our local area. Even in the same city, the populations and possibilities of public schools can be worlds apart. Our schools haven’t failed. Most are as good as the schools anyplace else in the world. And in schools where that isn’t the case, the problem isn’t unions or bureaucracies or an absence of choice. The problem is us. The problem is the limit of our embrace. If we waste our time asking about the American public-school system, we’ll always end up at an impasse. America’s schools are so diverse that there’s really no system to it all. 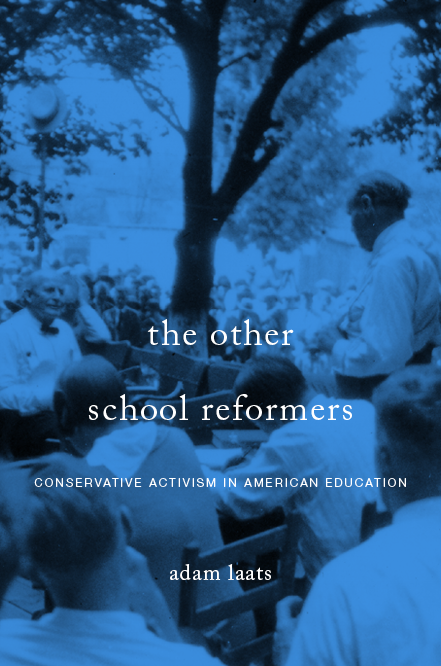 When it comes to our sad history of educational culture wars, pundits on all sides have been able to say whatever they wanted about America’s schools and find real evidence to back it up. They could always find proof of almost any trend they wanted to celebrate or despise. Are America’s schools mere “sorting machines?” Yep. Do they harbor left-wing teachers who sneakily try to subvert patriotic traditions? Uh-huh. Do America’s schools remain trapped in ancient ruts? Of course. Do they engage in innovative, world-class education? That, too. Like the blind scholars and the elephant, pundits and politicians will always be able to prove anything they want to about America’s schools, because they can all be right.